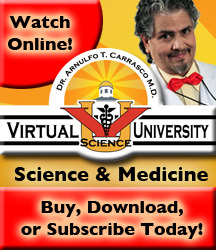 Good Afternoon, this is "Professor" Paul O.Briones, Host/Co-Creator of Virtual Science University. “Science Education should be priority number ONE!!! Who is going to step up to the plate? I AM WAITING!” A philanthropist can make a big difference in the lives of young people in the United States when it only takes 33 cents a day to subscribe a youngster to Virtual Science University. By a youngster having a philanthropist support him with 33 cents a day, it will make this youngster college ready and work ready. He/She can enter an allied health field career of study or a Pre-Med Program at a college university with the biological foundation he/she will receive from Virtual Science University . Here are three steps to my solution. 1.) It takes money to impact society. My solution to get young people college ready and work ready is the implementation of Virtual Science University as an adjunct Biology Learning Resource. This resource can be available to all high school Biology students in the United States of America. 2.) To do this, it will take three sets of the VSU DVDs into every public and high school library. This gives young people and adults who do not have a computer at home be able to check out a VSU Lesson on DVD and take it home and watch it on their TV. There are 121,169 public and high school libraries. The amount of revenue required to place VSU DVDs into public and high school libraries is not much. 3.) 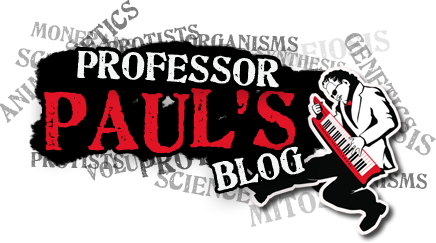 At $9.95 online subscription fee per month per student with approximately 7,395,300 biology students in the United States at any given time, it is only 33 cents a day. This may seem as much but let’s look at the finer picture. When you take $9.95 divided by 30 days that comes to 33 cents a day. You can’t even buy a cup of coffee at Starbucks or for that matter at a convenience store for that amount of money!!! If a government agency or a philanthropist cannot afford to invest 33 cents a day into science education of a student, then he/she has missed an opportunity to make a big difference! Is that the reason why we are ranked 17th in the world when it comes to high school science? SOME ONE, STEP UP TO THE PLATE AND GET THEM SUBSCRIBED! Previous - Is STAAR Making You Apprehensive?